Your New Favorite Face Mask! So, I give you, the greatest store-bought face mask of all time! 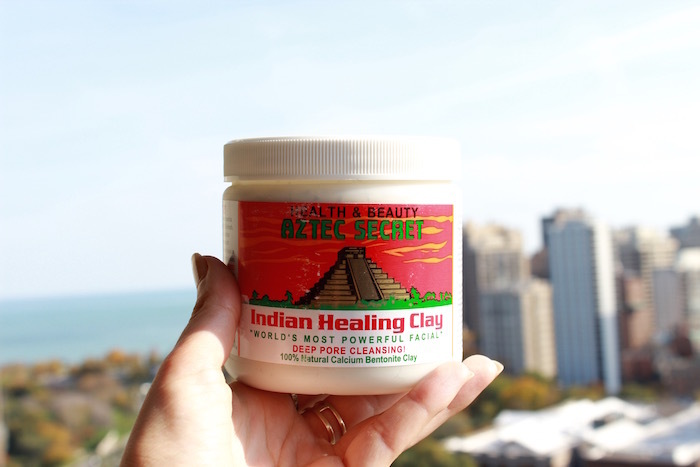 It’s called Aztec Secret Indian Healing Clay and it says right on the bottle “world’s most powerful facial” – right they are. For centuries, people have been using clay for beauty purposes, so sign me up too! The product is made up of 100% natural calcium bentonite (green) clay. Also per the bottle: it is sun dried, no fragrances, no animal testing, no animal products, and no additives. LOVE. It’s really difficult to find good skincare products that don’t have a single harmful ingredient in them- including fragrance. 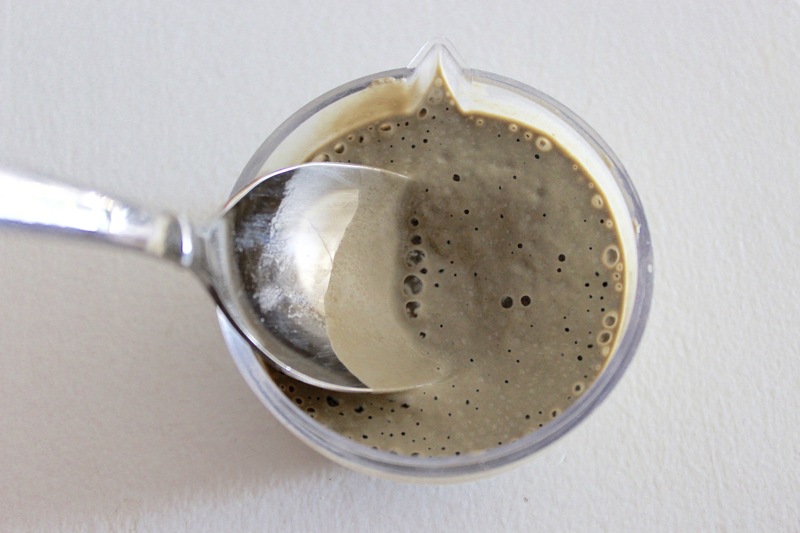 All you have to do is mix equal parts clay and apple cider vinegar (or water) and stir it until it becomes a paste. At first, the two ingredients have a little reaction, but just keep stirring it and it will become a paste in a minute or two. (Of course you can add more clay or liquid as needed). what it looks like when you first combine the two ingredients. Slowly becoming paste with stirring. The mask can be washed off easily with warm water. The only other effect to note is that you may see some areas of redness on your face afterward that will last only about 30 minutes. This mask can be enjoyed 1-2 times per week. You can find a one pound container of Aztec Secret Indian Healing Clay on Amazon for about $14 (!). I truly believe the best, most pure products for your skin are some of the least expensive ones out there because nothing artificial or unnecessary got added to it. You don’t have to spend a fortune to get excellent skincare! Yes, this brand of bentonite clay has been around for ages – you can get it at Whole Foods , WalMart, and Walgreens. There are tons of ways to use it but I’m with you – the ACV mask is a life saver. Wow I love this, I think I saw it at Sally Beauty, but it never really caught my attention, now I must try it! I’ve been wanting to buy that mask & wanna try it even more now! By the way, you have GREAT brows. I used to love Egyptian Magic!!! I don’t know why I stopped using it. HAHA. I’ve seen this clay around too, but never thought of making this mask. Thank you!!! Omg! Egyptian Magic is my FAVORITE skincare product. I use it for everything!! I’m happy I jogged your memory ahah! I recently bought this product too after seeing a Youtube review. I’ve only tried it with water, I will try it with ACV next time. I also heard that you add Aloe Vera? I think ACV is more beneficial- double the good stuff 🙂 I’ve never hear about aloe vera but im not sure adding a gel to a powder would come out so great. That’s true, cant wait to try with ACV. Im currenlty on a hunt for a good inexpensive face mask, I have never heard of this brand. Will sure give it a try! You’ve found the right one then 🙂 It’s the best and all good stuff inside! Now that the weather is getting chilly– What are your suggestions for body butters or scrubs? Won’t the acv cause a burning sensation? It doesn’t..The whole mask tingles just a bit but it’s normal. The vinegar is diluted and reacts with the clay so it’s not so strong. I have to try this one!! Yes! I love this face mask! ooh that’s a great idea! I’m totally going to do that. Thanks! Wow. I really have to try this. My skin was amazing but lately I’ve been breaking out little by little. Maybe it’s the change of season. This mask is the best though, worth a try! I had hoped so but it started once we moved in with the in laws. Yes!! This mask is great. 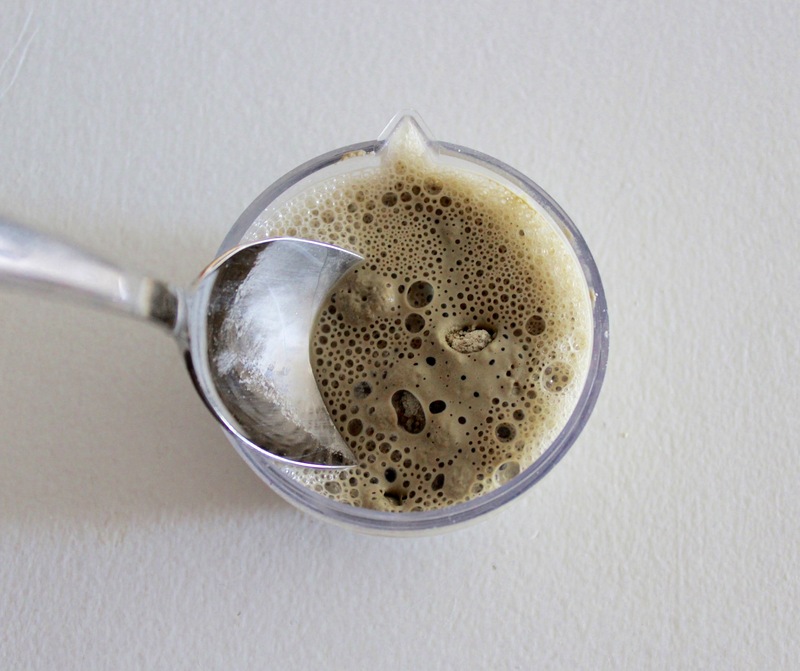 Like you, I mix with apple cider vinegar, in addition to a tad of honey and/or egg white. There are so many different and natural ways to make it. Yes! Oh I would totally add honey. Thanks for the idea. 😊 You really can’t go wrong, it’s the best! Ooh I’m definitely intrigued by this. Might need to check it out! 😊 so sweet, thank you! Aww 🙂 I’m not so sure about that, but thank you!!! Definitely have to try this!! Great post! 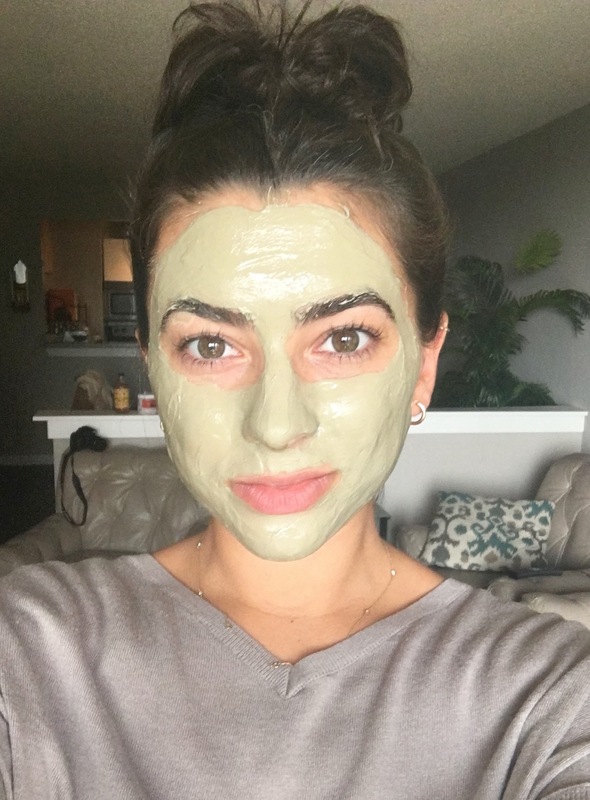 In love with this mask…I use it during my “spa” days. Yes! The ACV is the key! Makes it all tingly too! Ooh I’ll definitely try it! I wanna try doing selfies with face mask on (haha) – so cute. Anyway, I haven’t tried this Aztec Secret Indian Healing Clay and thankful that it is available on amazon. I wanted to give it a try, I hope it works on my skin. Thanks! hahah it’s definitely a challenge to look cute in a mask selfie, ha! This clay is a game changer, you have to try! It’s all natural stuff and when mixed with the apple cider vinegar, it’s magical!